Born in modern-day Ukraine (then part of the Soviet Union), Viktor graduated from Zorya Luhansk. He started his professional career at Shakhtar Donetsk when he was only 16 years old, in 1986 - being signed from local club Stakhanov. He would play there for two seasons, after which he would join military service - playing for Dynamo Kiev. In 1990, he was back at Shakhtar, where impressive performances facilitated a move to Spartak Moscow in 1992. His position in the field was at the center of the defense, however at Spartak he found his footing as a libero - even sometimes playing as an offensive midfielder. Pretty soon, he became the captain of the team, and despite being a defensive midfielder contributed in the final third regularly - with 13 goals in 43 matches during the 1993 season. According to multiple newspaper polls, such as those of Football magazine and Sport Express (a sports daily), he was widely recognized as the best football player in Russia. And the newspapers duly listened - the former awarded Viktor best footballer in Russia in 1992 and 1993; the latter did the same in 1993 too. With Spartak, Onopko managed to lift the league on three consecutive occasions in addition to qualifying for the semifinals of the Champions League, and his name made the circles of many European clubs. In Spain, Atlético de Madrid, and especially Jesús Gil, were very keen on signing the Russian, but in the end Real Oviedo made the signing in 1995. $2.5 million was the total outlay to the club. But money can't buy loyalty. And Viktor would stay at the club through trying times. 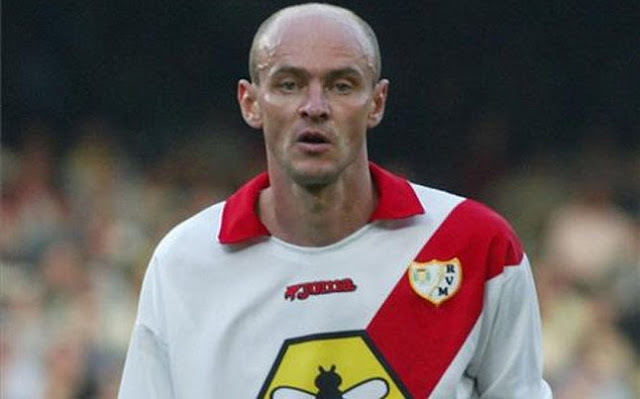 He became the team captain, and in December 1997 and January 1998, the popular Spanish magazine Don Balón named Onopko the best defender of the month. In 2000, he had not received any pay for over two years but decided to renew his contract anyways. Even when the total debt on wages owed to him reached 1.6 million euros, and when Oviedo were relegated to the Segunda in 2001, he would continue to play for the club. It was in 2002, when Real Oviedo could barely afford to even survive, when Viktor had to leave the club earlier than expected. Once again, competition for the player was fierce - Deportivo were interested in him but the Russian ended up choosing Rayo Vallecano as his loan destination. His time at the club was blighted not by his performances, but by the chaos off the pitch. Fernando Vázquez, the Rayo coach who had brought him to the club and had worked with Viktor at Oviedo, was fired midway through the season, and Rayo were relegated from La Liga at the end of the season. Moreover, Viktor had to make repeated trips during this time to Oviedo to visit his family and fix the debt that was owed to him by his former club. His time in Spain had come to an unfortunate end - in 2003 he left for his country to join the ranks of Alania Vladikavkaz of the Russian Premier League. But the adventure was short lived, and in January 2004 he left for Saturn where he remained until 2006. Since then, he has retired from professional football, but has found success in administration. Already with some player-coach experience while at Saturn, he took up the position of sporting director of the Russian Football Union in 2007, until 2009. Afterwards, he was recruited by Spaniard Juande Ramos to be his second coach at CSKA Moscow - Juande lasted just 47 days, being signed in September 2009 and being sacked the following month. However, Viktor continues to be part of the technical staff, and is still the assistant manager at the club.